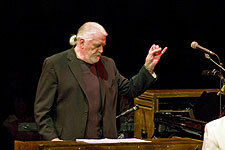 Keyboardist Jon Lord has had an illustrious career that has spanned over 40 years. He was one of the founding and integral members of Deep Purple, a band whose songs like “Smoke On the Water”, “Hush”, “Highway Star”, and “Woman From Tokyo” are sung (and plucked) and along to by generations of rock enthusiasts and aspiring guitarists alike. 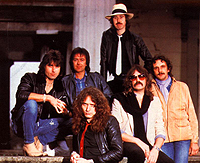 During a hiatus for Deep Purple, Lord played keys for Whitesnake, a group started by Purple bandmate, David Coverdale. 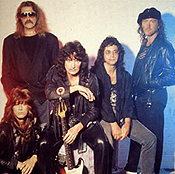 In the years after Whitesnake, Lord was included in a Deep Purple reformation, which he left in 2002. Today, he continues to work on a lighter, more symphonic sound with his own new material, including his newest release, To Notice Such Things. 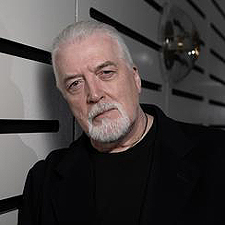 Exclusive Magazine‘s Ashley Trombley recently chatted one-on-one with Jon Lord about music, spirituality, and English Literature. Let’s kick things off by talking about your newest record. What is the significance to the title - ‘To Notice Such Things?’ "The title comes from a poem by Thomas Hardy, the English poet and novelist. In the poem, he’s asking the question “What will people think about me when I’m gone?” And he’s talking about a love of the countryside, what he calls “The things that matter.” You know, the rising of the sun, the setting of the same, the birds, the animals, the way we react with nature, and so on." "And he wonders in the poem if they’ll say that he was a man who noticed such things. And my dear friend John Mortimer used to do a stage show in which he would talk about his life and read bits of prose and poetry that had taken his fancy over the years, and this was the poem with which he would finish. And that is the last line of the poem. He was a man who used to notice such things. And when I wrote this music to celebrate his life, and try to describe some of his life, this seemed like the right title." Would you then consider yourself to be a man who notices such things, a man who can appreciate both the sentiments in the poem and in the life that your friend led? "Yes, I was pretty much a city boy until 1972 or 1973 when Deep Purple really started to get on top of the game. We were pretty well-known by then. I was able to therefore afford to move out of the city with my first wife and daughter to the countryside, where it wasn’t too far from London, but was quiet. It was a good place to bring up a child, I thought." "As a boy, I had lived in the city, but on the edge of the city, so I was aware of the countryside. I think I’ve always been a countryman at heart rather than by geographical positioning. And so I came out to a place called the Chiltern Hills, about 40 miles west of London, and here I’ve stayed ever since. So I think that living in the country means a lot to me. But I love big cities, I love London." "They say that when a man is tired of London, he’s tired of life! I love London, but I want to take it on my terms, and go with it when I want to, and then come back out to the country and breathe some fresh air." You worked on the record with the Royal Liverpool Symphonic Orchestra. What gave you the inspiration to make it such a symphonic sound? "I’ve been writing what you might call orchestral music on and off since the early 1970’s. I left it for a while, like I wrote 4 or 5 pieces for orchestra, and for rock bands to play with orchestra, back in the ’70s. And throughout the ’80s and early part of the ‘90s, I was almost solely writing with the rock bands I was in, mainly Deep Purple." "And then in the mid-‘90s I went, I suppose, more towards the quieter side of myself--maybe the ’country’ side as opposed to the ’city’ of myself--and started to write more for strings and piano. More quiet, contemplative stuff. And this was, at the same time, being part of a rock band. And I’ve continued to do that." "I left Deep Purple in 2002, in order to concentrate more on--I supposed the over-used word is ’classical crossover’--side of myself as a musician as opposed to the rock band side. This piece, written in memory of my friend, John Mortimer, was written specifically for solo flute and piano and orchestra." And as a keyboardist, had you always been interested in classical music? "Yeah, that’s how I started. I was five years old, so my brother tells me, when I was first sat down at a piano and began lessons at six. And when I was in my mid-teens, rock and roll came up and kicked me in the backside, and I fell in love with rock and roll. But I was lucky, I suppose, that I didn’t fall out of love with the classical music that I’d been learning as a pianist since I was 6." "And I think that pretty much defines my musical life and career, the love of both, and indeed, all kinds of music. And my attempt on many occasions to put the two greatest loves in my life together, with varying consequences," he laughs. "Some good, some bad." Do you have a favorite composer? "I guess that the wonderful thing about music of any kind - classical, rock, folk, jazz, whatever - is the wealth of music. It’s like Forrest Gump’s box of chocolates, you can dip in and take whatever you want, whenever you want. That’s the wonder of music. I think as a young man, it was the great Romantic composers like Tchaikovsky and so on who took my fancy, and then the more modern composers like Shostakovich." "An English composer named Edward Elgar is one of my great loves. But, you know, sometimes I don’t wanna hear that. Sometimes, I wanna hear Hendrix!" he again laughs. "And that’s what I love about, a) being a musician, and b) being able to listen to such a wealth of music. You can just take what you need for that moment." "And to be part of making music too, that might end up on someone’s shelf one day who feels they want your piece of music to be the piece of music for their moment. That’s one of the great blessings of being a musician." "So I know that I’ve been a part of people’s lives over the years. You can’t be a part of such a successful band for so many years as I was in Deep Purple - indeed, a band who’s still touring the world, without me - you can’t be in that kind of situation without being aware that you have affected people’s lives." "As I’ve said before, it’s a blessing. What a great job! Music is my hobby, it’s my passion, it’s my living, and to have something that wonderful that checks all those boxes, it doesn’t get much better than that, I don’t think!" No, I don’t think it does. Is it true that there was a bit of soul-searching done with this album in regard to religion or spirituality? "I am of the opinion - less of an opinion and more of an opinion, in one way - that this can’t be it. I wrote this music about my dear friend, he’d only passed about 8 weeks before I’d started writing it. It was a commission from an arts festival in the south of England. And they’d asked me for a flute concerto, which was nice of them, but I came back with the idea that I would write this flute suite and it would be six different pieces, each one based on a moment or time in my friend’s life." "And I really felt that John was sitting on my shoulder as I was writing it. It felt as if he were still around. And what I’m most proud of about the music is that many of John’s friends - many of whom I know, too - seem to recognize him in the music. And that’s probably the biggest compliment I could have gotten from them, that they recognize their friend in what I wrote. I think that’s the spiritual element of it." What a blessing that must be, to have that connection even after your friend has passed, and in such a lasting way as music! "Yeah. We can’t help it, we’re human - as time goes by, people recede in your memory once they’ve gone. It’s just the nature of the human beast. We move onward, we have to. But what is nice about this music is that it’s helping people remember this dear man. Of course, one day, if the music continues to be played, it won’t matter whether it’s about John Mortimer so much, what will matter is if it whispers in people’s ears and says nice things. At the end of the day, it’s what music does." "It’s just called "Child In Time." It came about as a result of me messing around on the organ and the other guys in the band picking up on it. I like the way I play the organ on that. We broke up in in ’76 and reformed again in ’84. And the reformation album was called 'Perfect Strangers.' I’m pretty proud of that one, too." What about Whitesnake? Can you pick one song out of that repertoire? "The thing about being in Whitesnake was that I was very much a sort of hired keyboard player. David [Coverdale] had been in Purple for a few years, and then he started his own band, and then he called me saying, “Please join my band.” And I did, and I never felt that I was more than the guy who did the keyboard work, rather than in integral part of the band such as I was in Purple. But having said which, I feel like I’ve turned out some good, honest work with the early Whitesnake stuff." "There’s an album called 'Ready and Willing' which I think is my best work in Whitesnake. No particular song I can put my finger on, but just the album in general was my best work in Whitesnake. When Purple broke up, I was almost disenchanted with the music business…it took a lot of persuasion on the part of David Coverdale to get me into Whitesnake. I did it in the end, to be honest, to help him because he was short a keyboard player. I didn’t really intend to end up in Whitesnake, but somehow four and a half years of my life slipped by in that band, and then fortunately we got Purple back together." This next question is from my Editor, Russell. It would really make no sense if I said it came from me. He says: “I saw you on the Whitesnake 'Slide It In Tour' in 1984, down at The Colleseum in Carlyon Bay, Plymouth, and was blown away by how much you rocked, literally, your the Hammond Organ up on its front edge, nearly allowing it to topple completely over! Incredible, and still an image I carry with me today. But, was there ever a time you did rock that thing a wee bit too much, and it either did topple forward or you had to work fast to grab it back? !” "It was one of my little party tricks," he laughs. "Only once did it go too far the wrong way. I had to scream at the top of my lungs to the bass player to get out of the way to avoid getting crushed by a Hammond Organ!" he laughs again. "But it only happened once, with Deep Purple, and I never let it happen again." "There’s a trick to it - it looked dangerous, but as with most stagecraft, if you’re going to do it most nights on a long, long, tour, it’s a good idea to know what you’re doing so you don’t end up hurting yourself. But it did look exciting, I know. But I don’t do it anymore - I stopped doing that somewhere in the 1990’s." You should bring it back when you perform with the symphony! "Perhaps I should try and topple over one of the violinists!" he laughs. Russell also asks: “Even though you were, as you yourself once put it, a 'halo' that rounded out a blues-rock sound that accomodated two lead guitarists, playing those 12-bar blues even, at the age of 40, still got you a regular slot on the popular UK teen music show, Top Of The Pops! Knowing you left Whitesnake due to Coverdale's passion for revamping the line-up to lower the average age to help crack the US market, what are your memories of playing TOTP at that time between 1980 and 1983? Was it all sweetness and love between band members or was it a group divided?” "I remember it being an exercise in musical frustration, because basically, you had to mime. The musicians had to mime, but the singer sang live, you had to do a special track for them, that‘s the way it was done then. I HATE miming, it has NOTHING to do with music, and unfortunately music on television has very little to do with music, it has more to do with pictures if you think about it. So doing a program like that was not greatest fun." "We did a few of them with Deep Purple about 10 years before that, and they’re never very much fun. What David Coverdale did was reinvent himself for the American market, which he did very successfully. I think that all along that’s probably what David wanted - and I think he got it, enormously and successfully. A great portion of what a rock band is fashion rather than just the musical element, which was of no interest to us in the early days of Purple. We just wanted to be a band. But I think David was very aware of what the market wanted in the last quarter or third of the 1980’s. Putting in young, good-looking guys with lots of hair didn’t do it." How do you think you have evolved as an artist over your career that spans more than 4 decades? "It’s awfully hard to answer a question like that sometimes without appearing immodest, so I‘ll try not to appear big-headed!" he laughs. "I honestly believe that I’ve grown by leaps and bounds as a musician. Actually, I think it would be rather sad if I hadn’t. I’ve loved what I’ve done. And when I look back with the benefit of 20/20 hindsight, I can see the pattern, or the shape of the journey. And I’m very pleased with that shape. I’m very aware that I am what I am because of what I’ve been." "But I can feel and see and hear in the music I’m writing now some of the music I wrote then. And I can feel the youthfulness of my own work, and the people I worked with, and the people I’ve listened to over the years, on my work now. And I’m very happy with where I’ve arrived at. And when I made the decision in 2002 to leave the band, it was only the awareness or the constance of that backward look that gave me the confidence to take the step forward that would take me out of the band and onto who knows what." 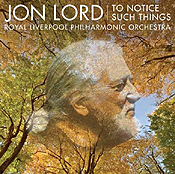 So, if you would like to win a SIGNED copy of Jon Lord's new CD, 'To Notice Such Things,' and you think you know all there is to know about the man himself, just answer this easy question: On which album that Lord was a part of, can the song "The Road from Lindisfarne" be found? !